We highly recommend that you call us and arrange a viewing with one of our hospitality coordinators as we are sure that once you have visited our Grade II Mansion House and the scenic grounds you will be able to envision your event with us at Hatfeild Hall. Our main function facility with a private bar area and large dance floor covers some 140 square metres. The delightful French windows open out onto a large patio area and overlooking a lawned area the dramatic 18th hole on the golf course. Fully air conditioned, the Hatfeild Suite is able to seat 120 guests for a formal meal and 195 for an informal style of event. Overlooking the historic mulberry bush, this tastefully restored room is ideal for a smaller party of up to 16 guests. A very popular choice, this well appointed room will also suit a smaller event of up to 20 guests. 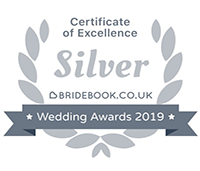 Once you have confirmed interest, we will hold your chosen date for 14 days when you will then be required to confirm your booking with a non-refundable deposit of £200.00.